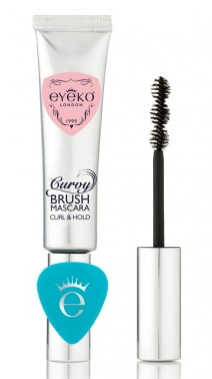 kandeej.com: EYEKO Mascara Friday GiveAway - 50 winners! EYEKO Mascara is the awesome mascara that you probably saw featured in VOGUE last this month! To celebrate that Eyeko is available at Sephora now, they asked if you guys would want to win some mascara- to which i say: "Heck-a-yecka Yes!" Here's what you're gonna win and why I like it! instantly enhanced, doll-like lashes for BIG EYES. Use to add CURL. Insta Results with Lash Care! Dramatic lash lengthening effects with conditioning Pro-Vitamin B glides smoothly onto lashes with a single stroke of intense jet-black colour for a flawless finish. * The Packaging- I love that it comes in a tube, so you can get every last bit of mascara out of the tube! * Lashes looked natural and full, no clumps or chunks! 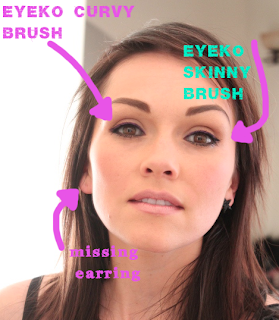 * No weird "masacara stink"- I know this may sound weird, but some mascara's have those most disgusting smell to them- like a "stinking rose scent", and I can't stand smelling that all day! This smells like absolutely nothing! Pro-Vitamin B, natural oils and waxes condition lashes to promote growth and prevent premature breakage. Mascara doesn’t smudge, crumble or flake even if you rub your eyes. Intense water resistant formula locks in color and hold for 12+ hours leaving lashes feeling feather light and supple. I get to give away 50, yes that's right 50 winners, will receive an EYEKO Mascara! 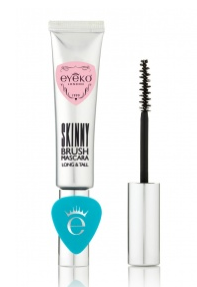 WINNERS will be contacted through facebook by the lovely lash team at EYEKO! *make sure you like the EYEKO facebook page and my facebook page to get notified of winning! click on each way to enter, and each time you do one of the "entry tabs", you get an extra chance to win! Some of the entry options you can do every day to increase your chances of winning! *just look at the contest timer to see how much longer the contest will be going on for! *if winners do not reply within 48 hours of being contacted, new winners will be selected. *winners must be patient- it can take up to 4-6 weeks for the shipment to arrive. a Rafflecopter giveawayg Happy Friday!!!! Huge lashes and even "huger" hugs... your kandee! PS. Don't worry, all my international lovelies- I'll have more giveaways that are international! If it weren't for customs and shipping issues, ALL contest could be international! Darn you, customs! This looks amazing!!!! I must try this, if I don't win I'll save up and buy this, being a make up lover I am so curious and excited to try this mascara! I absolutely adore the packaging! How cool is that! You look GREAT in that picture!! Please, show us how to do the look! It's gorgeous! It would be great if you could do international giveaways. Have a wonderful day!! I hope I entered the contest correctly my laptop is broken and my iPhone is acting up! Haha oh jeez! But I'm trying!!!! Your hair color is amazing in the top phit :) did you dye your hair? I'd love to know the name of the shade! It would be awesome mascara to try. 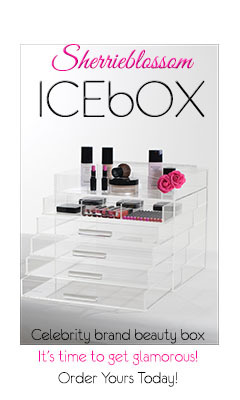 I haven't even heard of this makeup company.? Kandee. I am taking this time out to ask you to please go to YouTube and type in money 2012. Watch the 30 minute long video and please share with the rest of your followers. It is a tragic thing that needs everyone's help. I am asking you to help the movement progress because you are always looking to help others and people look up to you. Please help save these poor children from being abducted and forced to kill there parents and others.